Craig Evezich is an attorney who specializes in litigating large property losses for home and commercial insurance carriers. He is a charter member and Co-President of the Northwest Chapter of the National Association of Subrogation Professionals. He lives in Washington State, but advises clients throughout the United States. Your O & C reports from the field that the fire was caused by arson, a product, or negligence. To hold that person or entity responsible for the fire, you need to maintain the scene and preserve the evidence. This can be an expensive and trying process if you let it manage you instead of you managing it. The first thing you need to do is carefully communicate with the person who owns the property. Make sure that someone has a sit down with that person and not only explains the process of investigating a fire and preserving the scene and evidence, but also helps them understand why the person or entity that may have been involved in the cause of the fire needs to have access to the scene and evidence. Make sure they understand that you have not made a determination yet about the cause of the fire and cannot do so until the investigation process is completed. Fires are emotional events and, especially if the property is a home, the owner will be emotional, but usually willing to help. Explaining to them that by going through this process the cause of the fire may be determined usually goes a long way towards them helping you. Explain how long the process should take and what will be involved. Keep them in the loop. Communicate with them by email or phone. Let them know who is being put on notice and when the examination is being scheduled. Keep them apprised of changes in the examinations and the expected date the property will be released for destruction. Remember that they are looking at their burned out home or business on a daily basis and getting it demolished is a big part of them getting over the fire. are all issues that need to be explored. From this information, you can put the potentially liable party on notice. This usually includes the contractor, subcontractors, suspected arsonist, or product manufacturer. Make sure you couch the letter in terms of their involvement being the potential cause of the fire and you give them a reasonable estimate of the amount of the loss. Send your letters via traceable means. In your letter, set a date for the examination, tell them that this is their only chance to visit the scene, and that the property will be destroyed, without further notice, immediately upon the completion of the examination. By setting the date, you dont allow them to dictate when they will examine the scene. When a date is set, they always are able to find an investigator to be there on that day; when dates arent set, there is no rush to get an investigator to the scene. 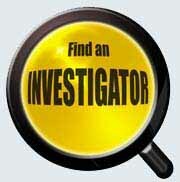 By setting a date, the investigation goes faster and your O & Cs involvement (and costs) is kept to a minimum. Your O & C should make it clear at the beginning that he is running the scene examination. A protocol should be established prior to starting the examination. The protocol doesnt need to be in writing, but it does need to be agreed to by everyone at the scene. Its not unusual that at the scene, an O & C will ask that you retain a huge piece of evidence that your O & C considers completely irrelevant to the cause of the fire. Ive seen instances of O & Cs requesting that entire walls be retained when no other O & C at the scene thinks that the wall has anything to do with the fire. Your answer is simple: We dont think its relevant, but you are free to take it if you want, as long as you maintain it according to the relevant standards. Nine times out of ten, the wall stays in place. At the end of the examination, your O & C should be in possession of all of the evidence retained from the scene and he should ask everyone if there is anything else that they would like to do with regard to the scene prior to its destruction. If there is, establish as soon as possible when that will occur; if there isnt, have him let everyone know that the scene will be destroyed immediately. Its important that you determine after the scene examination whether there are any other parties that need notice of the claim. Commonly, a scene examination will determine that component manufacturers or additional subcontractors may have a role in the fire. Speak to your attorney or investigator about the need to notify them of the claim. You now need to let the insured know that the scene is ready to be cleared and that a destructive evidence examination may take place next. Follow the same process of setting a date in your notice letter about the evidence investigation and this will speed the process. By following this process you ensure that you have retained all of the evidence, notified all interested parties of the claim and allowed them to inspect the scene and evidence, and have done so with as much speed, and at the least cost, as possible.